If you sell ATA devices, it is a good idea to become an offical Ozeki Phone System XE Hardware vendor. As most up-to-date PBXs, Ozeki Phone System XE uses digital switching for translating the analog signals to digital. For this purpose, a PSTN device, called ATA, can be used. With such an ATA device, you can easily connect an analogue line to the PBX. This way, you can make and receive calls to both directions. 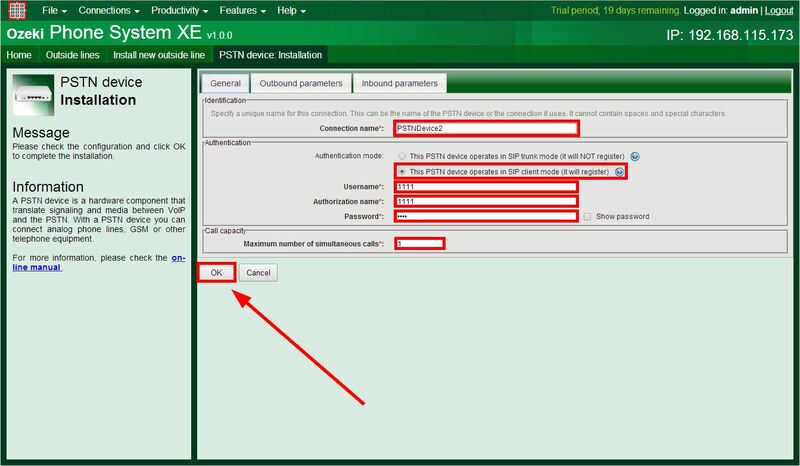 This article explains what kind of configurations are needed in Ozeki Phone System XE and how you can setup your ATA device in order to connect a PSTN phone line to your PBX. As the VoIP-based Ozeki Phone System XE only accepts digital signals, you need to convert analog signals to digital. ATA (Analog Terminal Adapters) devices are commonly used for this purpose. These are also called PSTN (Public Switched Telephone Network) devices. and one or more RJ-11 jacks. The number of RJ-11 jacks connected to the telephone network determines how many calls can be made simultaneously, so maximum 1 call can be made at a time on 1 telephone line. Every telephone line gets a separate telephone number from the provider. Since the other jack of the ATA device is an ethernet jack, the ATA will have an IP address. It communicates with Ozeki Phone System XE using an IP address, so you only have to install a PSTN device in Ozeki Phone System XE, and ATA will do the rest. 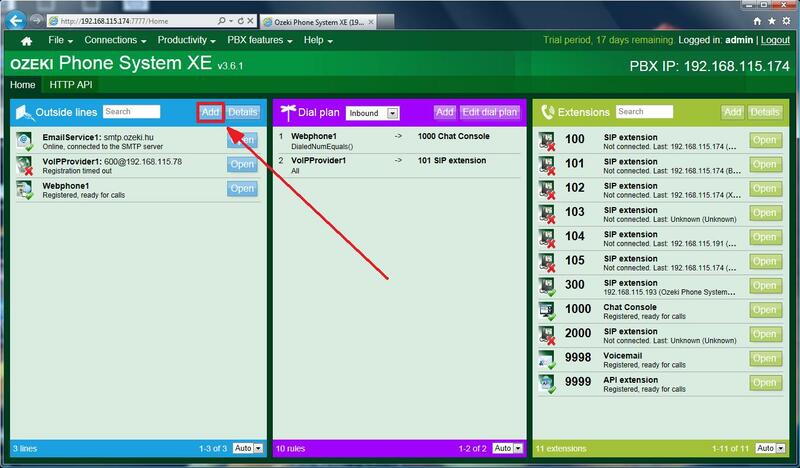 First of all, download and install Ozeki Phone System XE. After launching it, log in with your username and password (Figure 1). After signing in, the home screen appears. Now, navigate to the "Outside lines" panel then click on the Add button in the top right corner of this section (Figure 2). After that, the "Outside lines" panel can be seen. 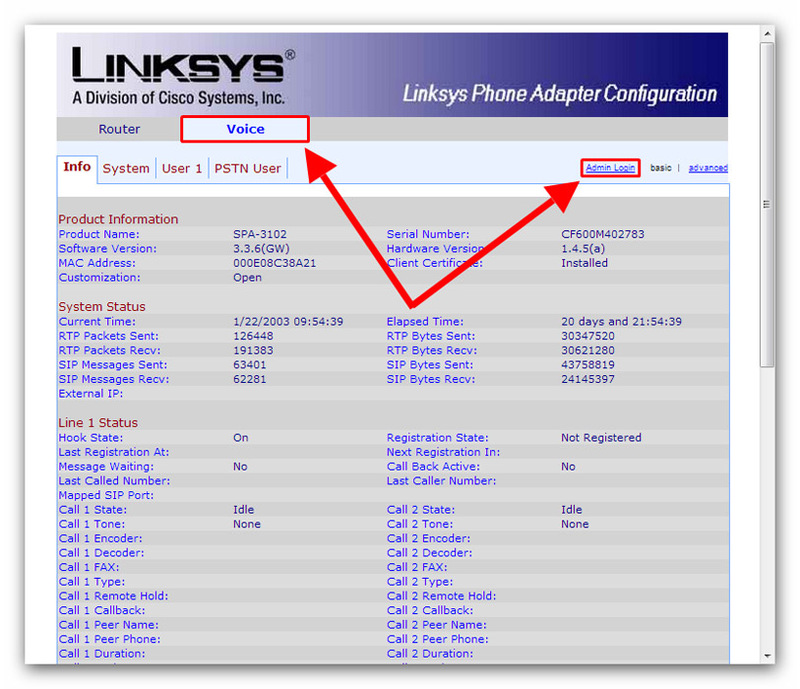 For creating a PSTN connection, you need to install a PSTN device; look for the "PSTN device" line in the Standard Connections column, than click on the Install button (Figure 3). The configuration panel of the PSTN device will appear. Provide a Connection name in the "Identification" section. In the "Authentication" panel if you select the "This PSTN device operates in SIP trunk mode (it will NOT register)" option, you need enter your VoIP provider IP address. In the "Port" edit box keep the default port number. If you choose the "This PSTN device operates in SIP client mode (it will register)" option, you need enter the following SIP account details: Username, Authorization name and Password. In both cases, within the "Call capacity" block you can specify the maximum number of simultaneous calls by entering a positive number (integer) into the textbox. If you are ready, click on the OK button. Now, you need to set an outbound and inbound rule to your outside line. The recommended dial plan settings appear automatically on the yellow warning bar (Figure 6, see below). If you would like to make and receive calls by using outside lines, you will need to set up routing rules for this purpose within the Dial plan panel. to make calls which would use outside lines (PSTN, GSM networks), you will need to set Outbound routing rules. to manage calls, which are coming from outside lines, you will need to add Inbound routing rules to define destinations to the call. When there is an incoming call, the PBX will direct it to standard extensions or to another Outside lines, defined by the routing rules. The first warning message tells you to set an Outbound rule. 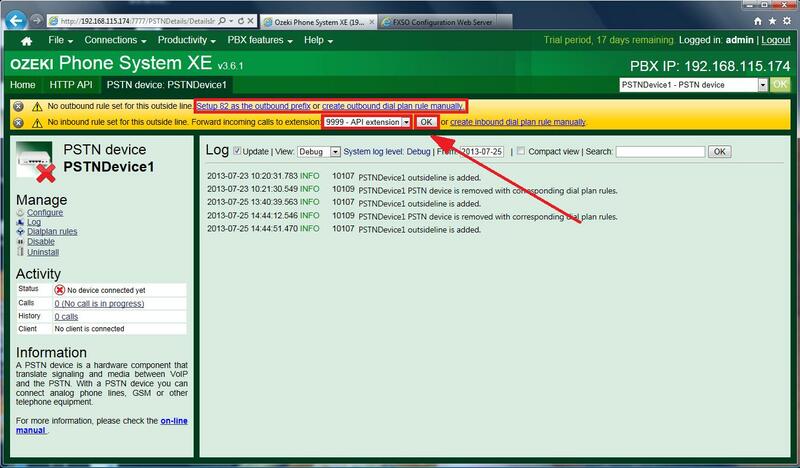 With this rule, you can call a phone on the analog network from an extension, installed on the Ozeki Phone System XE. If you would like to make calls to outer networks with the "81" prefix, click the "Setup 81 as the outbound perfix" textlink, or if you would like to set your own dial plan rules, click on the "create outbound dial plan rule manually" textlink. The second warning message refers to the Inbound rule settings, it is used for incoming calls. Here, you can chose which extension will receive the calls coming from the analog telephone network. You only need to select an extension from the drop-down menu. Calls incoming to this PSTN outside line will be forwarded to the selected extension. Therefore, you can receive these incoming calls by using that particular extension and/or telephone. Finally, click on the OK button (Figure 6). You should connect it to the PSTN device and to the local computer network. For connecting the ATA with Ozeki Phone System XE, you need to connect them together with the proper cables. The ports of ethernet and internet work in a manner that is similar to how they work in the case of a "traditional" router. You should connect the incoming phone line to the line port. 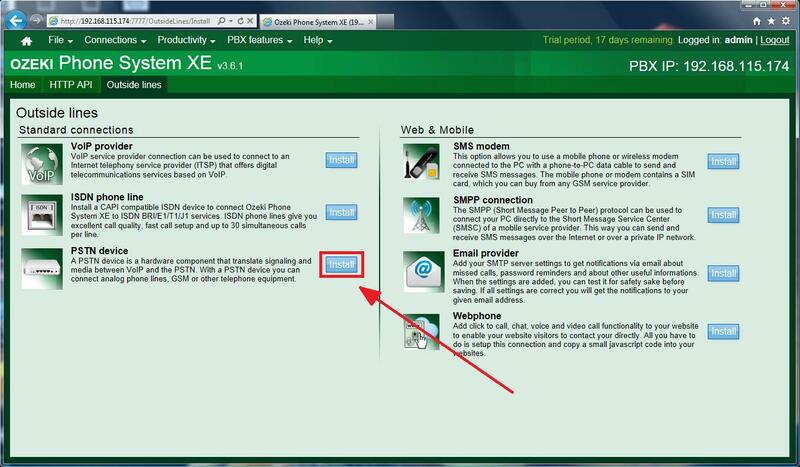 that you have provided in Ozeki Phone System XE earlier (see above Figure 5). 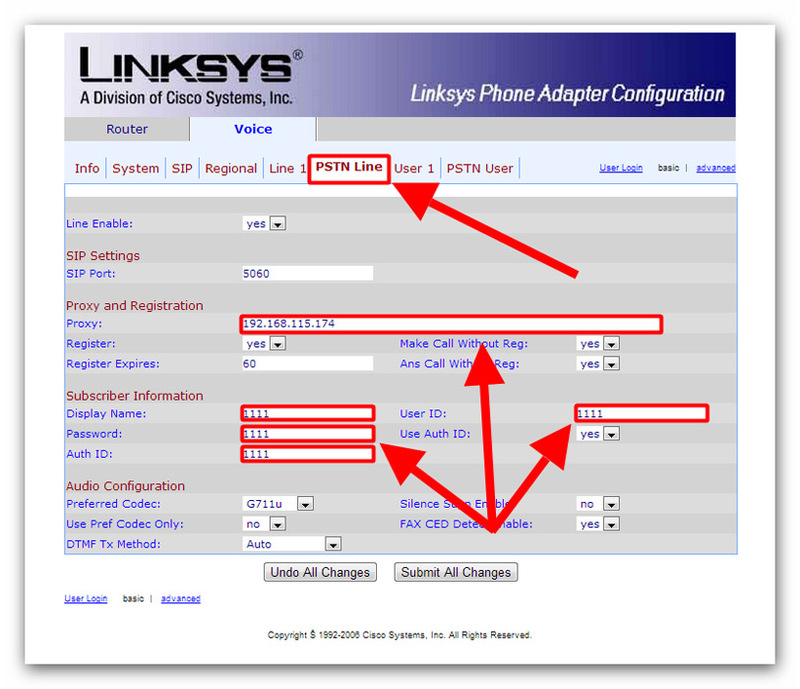 Figure 9 demonstrates the configuration process through the example of Linksys SPA-3102. After opening the configuration page, select the Admin Login menu item at the top right corner, then select the Voice tab at the upper menu bar. After that, select the PSTN Line menu item, where you need to enter the IP Address of your Ozeki Phone System XE into the Proxy data field, the authorization name of the ATA into Auth ID textbox and provide its password in the Password row. Then, click on the Submit All Changes button at the bottom of the screen (Figure 10). 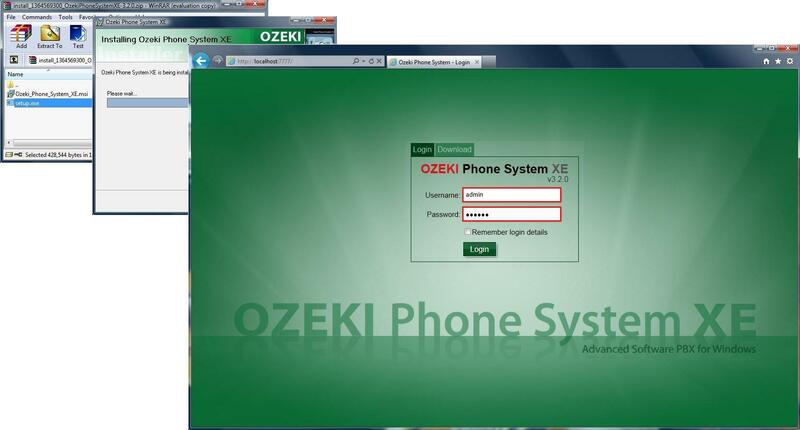 Now, your ATA has been added to Ozeki Phone System XE successfully and it is ready to use. 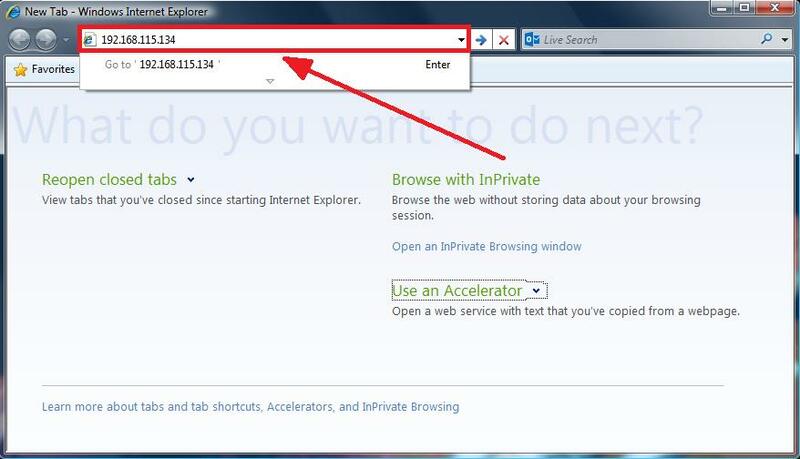 For initiating a test call, use an existing extension to dial an external phone number. (In this example, the phone number should start with "81", so you need to dial a phone number such as "820036440123456789" to make an outbound call.) 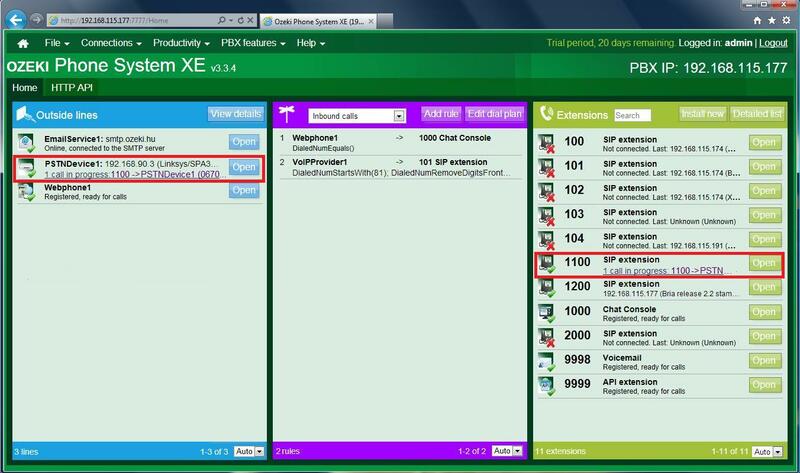 The call status can be tracked in Ozeki Phone System XE, where you can also see that, the call has been made over the newly created PSTN connection (Figure 11). As the guide above presented, an ATA device is essential if you want to connect analog phone lines to Ozeki Phone System XE. 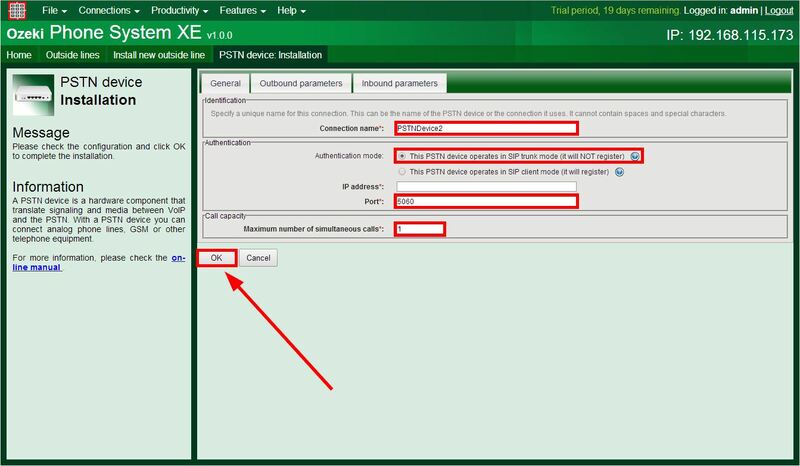 This article demonstrated by an example the configuration's steps, needed on both sides; after you have added a new PSTN device, you only need to specify the main parameters of the ATA in Ozeki Phone System XE and the configuration panel of the device as well. It can be completed in less than 10 minutes.